A modern take on a New Zealand classic, the Tiki pendant. 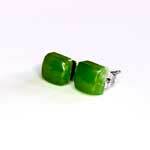 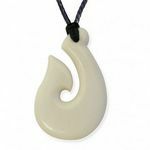 This pendant is more akin to a cameo than to a greenstone pendant. 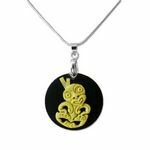 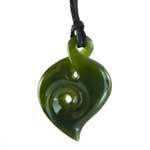 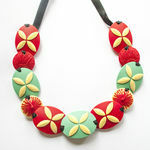 The pendant is made of resin and features a black disc with a bone coloured tiki. The pendant comes with a silver omega wire necklace. 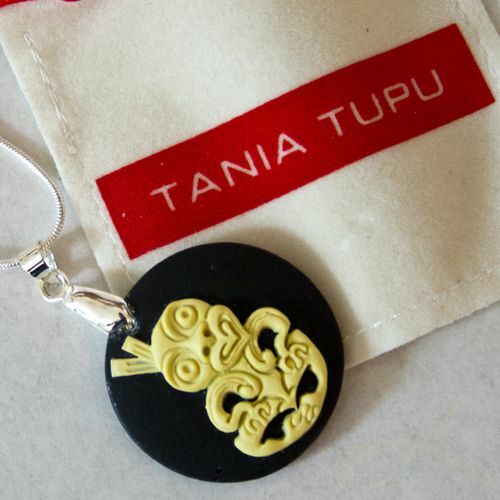 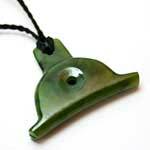 The pendant was Made in New Zealand by artist and designer Tania Tupu and is part of her jewellery collection. The tiki pendant measures 30mm (1 1/4 inches) in diameter.